Summertime in Whistler it a total transformation from the winter wonderland that many people are familiar with. The month of August hosts some of the biggest events of the year, and they have nothing to do with snow. Over the BC Day Long Weekend (August 3-6) yogis and wellness warriors from around North America converge on Whistler for the Wanderlust Festival; four days of yoga classes, nature hikes, workshops and parties all with the common theme of celebrating the mind, body and soul. After Wanderlust, Crankworx takes over Whistler Village. This two-week festival celebrates all things mountain biking with the biggest mountain biking brands, companies and riders showing up for the fourteen days of festivities. For everything events in Whistler this August, read on. The Whistler Wanderlust experience is four days of mountain-top wellness with yoga, food and outdoor events attracting thousands of wellness travellers yearning to explore and connect with their life purpose. Tickets for Wanderlust range from single day passes starting at $85 to full four day passes for $455. Some of the Wanderlust events on offer include mediation themed events, morning exercise sessions, aromatherapy courses, slackline yoga, photography workshops, SUP yoga, bodywork, hikes and much more. Wanderlust Festivals take place around North America however Whistler is one of only three Canadian locations. To experience the true north and get a deeper appreciation of Whistler’s mountainous landscapes and natural serenity take some time out and attend Whistler Wanderlust this August. After Wanderlust ends, the adrenaline is cranked up for two weeks of mountain biking action during Crankworx. Mountain biking now rivals skiing and snowboarding as the most popular sport in Whistler, and Crankworx is a celebration of the activity that is re-shaping the town, which drops into the next dimension where gravity knows no bounds. 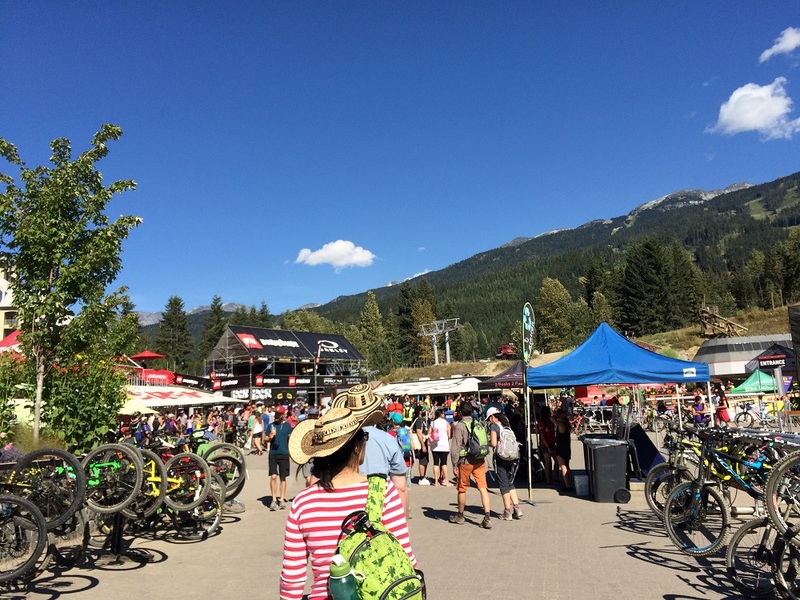 During the course of two weeks there are industry events, sporting competitions and epic parties catering to the crowds that flock to Whistler to experience mountain biking’s biggest event of the year. Some of the main events of Crankworx include the Canadian Open Enduro, Red Bull Joyride, Deep Summer Photo Challenge and Canadian Downhill Open. There is plenty to do for families too with kid’s events such as Kidsworx Dirt Pump Track, Kidworx Enduro and Kids Village circuit races. Whether coming to Crankworx as a participant or spectator, it’s not to be missed. At Whistler Dental we love the Whistler community in which we live. We pride ourselves on providing state of the art dental care to our Whistler community and visitors of Whistler. If you are in Whistler and are in need of routine, emergency or cosmetic dental care, make sure to check us out, located at #4- 4308 Main St, Whistler Village. We hope you have some time to check out the exciting events happening in Whistler this August, maybe we will see you there!